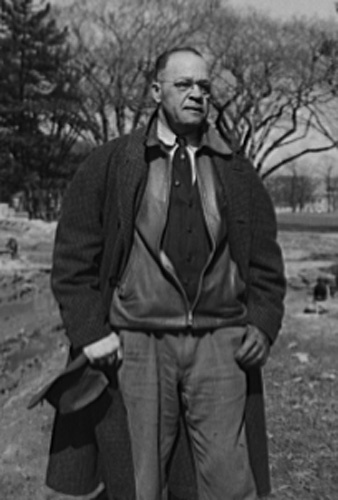 Archie Alphonso Alexander, “Archie Alphonso Alexander,” Histories of the National Mall, accessed April 23, 2019, http://mallhistory.org/items/show/137. Archie Alexander was an African American engineer from Iowa and the senior partner in the firm Alexander and Repass. In the 1940s, the firm was hired to build a bridge and seawall at the Tidal Basin. Alexander spearheaded the project and brought in an integrated construction crew. Archie A. Alexander was born in Iowa, part of a very small African American community. He graduated from the College of Engineering at the University of Iowa in 1912, although his professors warned him that it would difficult for an African American engineer to find work. Alexander had to begin at an entry-level position with the Marsh Engineering Firm but quickly rose to be the engineer in charge of bridge construction. Two years after he was first hired, Alexander left to found his own engineering firm which specialized in bridges and viaducts. In 1929, Alexander took on a junior partner, Maurice A. Repass, who had been a teammate from Alexander's college football days; the firm changed its name to Alexander and Repass. This new partnership undertook projects in almost every state in the union. Alexander was an active member of the Republican party, serving on the Iowa State Republican Committee in the 1930s. In 1954 his political activity led to his appointment as Governor of the Virgin Islands, a position he held until his resignation in August 1955. Upon his death in 1958, Alexander left a trust to establish engineering scholarships at the University of Iowa, Tuskegee Institute in Alabama, and Howard University, each of which was over 100,000 dollars. Charles E. Wynes. "Alexander, Archie Alphonso"; http://www.anb.org/articles/10/10-01909.html; American National Biography Online Feb. 2000.